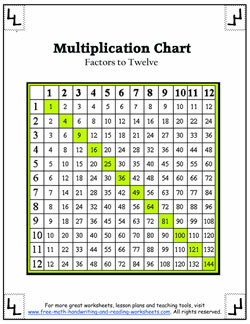 Download your printable multiplication chart here. Your child can use it to help complete the worksheets or you can use them to quickly check your child or students' work. 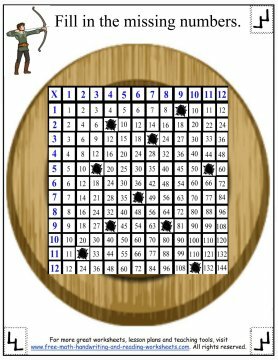 The math worksheets below cover the multiplication grid. 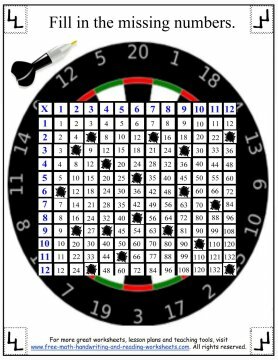 In each sheet, you'll notice different numbers are missing. 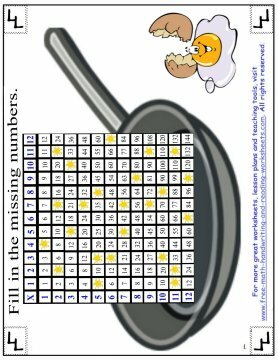 Print out the papers and have your child fill in the missing numbers. The first few papers are relatively easy and have only a few numbers missing. 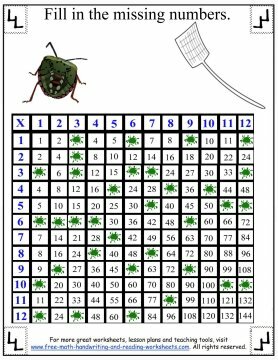 If your child is having problems coming up with the answer by himself try using the printable grid to find the answer. 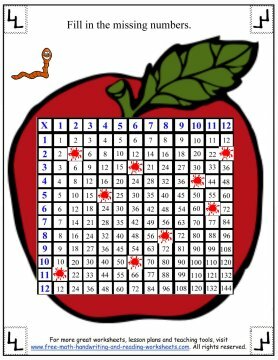 Each factor combination is found on the grid twice, so while the answer for 8 X 3 might be missing, your child can find the answer by looking at 3 X 8. In the last couple of worksheets, I've blotted out the answers for both equations, so they're a little bit tougher and you're child will have to come up with the answer by herself. Have fun! 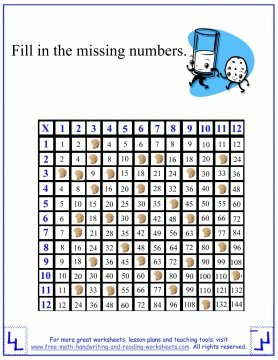 Each of the multiplication chart worksheets below is available free of charge to teachers, home-schoolers, and parents. To print out your chart, click on one of the pictures below. 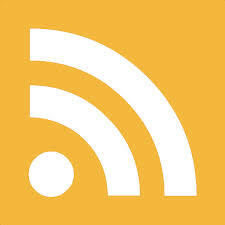 This will open up a downloadable PDF in another window. Save it to your computer and print it out.